Charlie Hileman comes to Lexington Real Estate Connection as a lifelong resident of Rockbridge County. Charlie has owned several successful businesses since 1978 and brings his vast knowledge of Lexington and Rockbridge County real estate to our office. 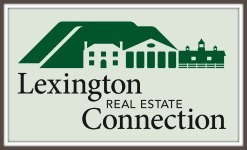 Charlie is a member of the Lexington Buena Vista Rockbridge Board of REALTORS, the Virginia Association of REALTORS, and the National Association of REALTORS. In addition to his successful business ventures, Charlie is active in the agricultural community of Rockbridge County. He operates the family farm–which has been in the Hileman family for five generations–raising beef, cattle, and hay. One of Charlie’s hobbies is restoring antique tractors. Charlie is a graduate of Rockbridge High School and Dabney S. Lancaster Community College. He and his wife, Darlene, have two children and two grandchildren. Charlie looks forward to hearing from you. Please complete the following form and click Submit. You will receive a response within one business day. Thank you!